Last-minute business trips are nothing when you travel with the Business One Mobile Office from Samsonite®. Laptop compartment can accommodate up to a 15" notebook. Made from durable 1680 denier ballistic nylon fabric with EVA foam backing for rugged durability that's built to last. 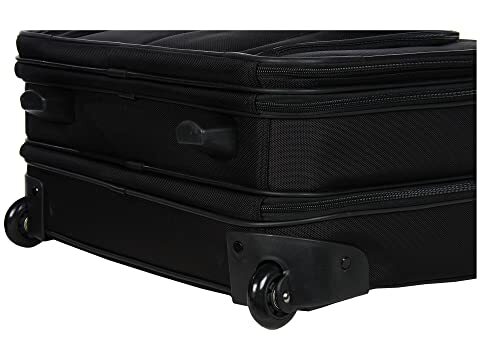 Retractable pull handle lets you easily pull the case behind you when bag is fully loaded. 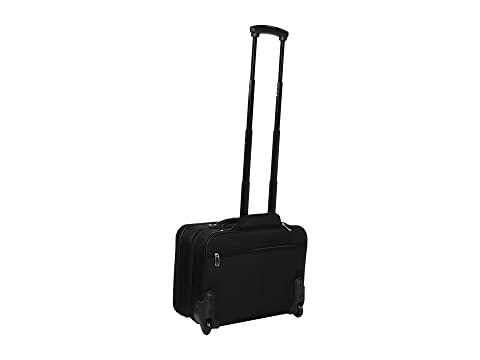 Center lift handle offers a briefcase-like carry option when wheeling the bag behind you is not an option. 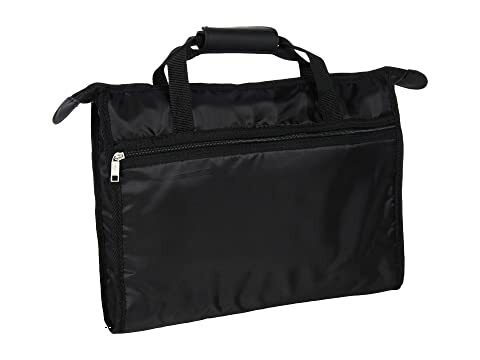 Forward zip compartment offers business accessory organization which includes a large accessory pouch, two pen loops, two media pouches with hook-and-loop strap closure, and four card slots. Center zip compartment features compression straps to secure your overnight clothing during travel. 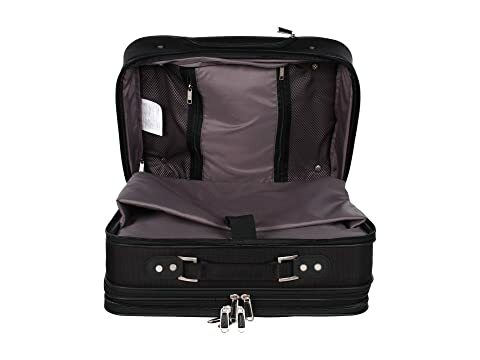 Rear zip compartment includes an accordion folder for business paperwork and a laptop compartment. 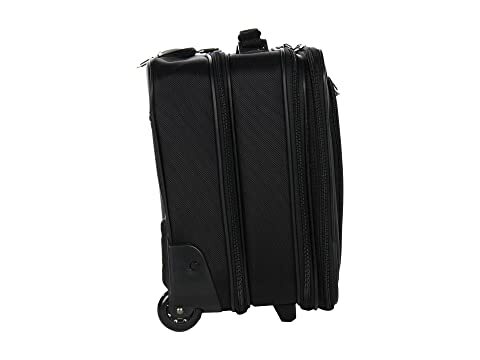 Two inline wheels offer a smooth roll as you navigate busy airports or city streets. 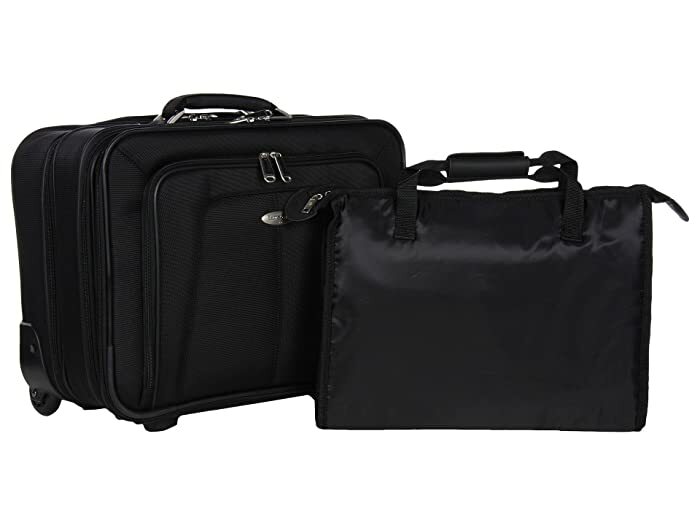 Case also comes with a removable laptop bag that is padded and includes a zippered pocket.